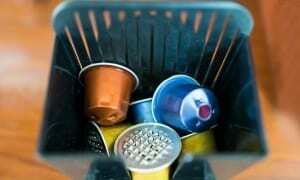 Nutribullet - Is It Worth It? - Which? Nutribullet blenders have taken the UK by storm, but are they really the only blenders worth buying? Find out below. The Nutribullet 600 burst onto the scene in 2014, and quickly became the most wished-for blender. 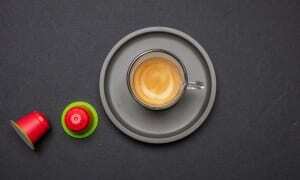 But is this mini bullet-shaped blender, designed for making speedy one-portion smoothies, worth the hype? And what about the newer, more expensive, Nutribullet blenders? Below we explain what you get with the different Nutribullet models, and what your alternatives are. There are now six Nutribullet blenders - the original Nutribullet 600, the Nutribullet 900, the Nutribullet Rx, the Nutribullet 1000 Series and 1200 Series, and the Nutribullet Balance. Each varies according to its power, capacity, price and array of accessories. 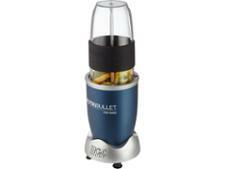 But they all the retain the simple design that made Nutribullets so attractive. More power and expense doesn't necessarily mean a better blend. We independently test and review rival blenders such as the Nutri Ninja, Nutri Pro, Nutrient blender, and more, revealing the best blenders around - including some brilliant options that will set you back less than any Nutribullet. Head to our blender reviews to compare models and find out which blenders we recommend. Before you buy, make sure you check our Nutribullet blender reviews to see which Nutribullets we recommend. Logged-in members can see quick summaries of each Nutribullet review below, plus our top picks for Nutribullet alternatives, including some cheap blenders that punch above their weight. Not yet a member? Join Which? to get instant access. The original little blender with the huge claims - it 'literally pulverises everything' according to the makers. It's a great size if you're making a smoothie for one or two, but how smooth are they really? This is the bigger 'Pro' version of the original Nutribullet 600 - boasting a more powerful motor and larger cup sizes - but is bigger actually better in the world of mini-blending? Twice as heavy as the Nutribullet 600 and more than double the price, the Rx makes hot soup from scratch in seven minutes, but does the extra motor power translate to super-smooth results? 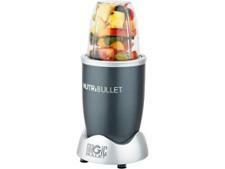 The 1000 Series is another addition to the burgeoning Nutribullet family. 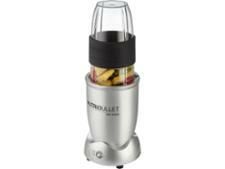 It has a stainless steel travel cup which is designed to keep your smoothies ice-cold. 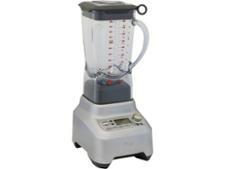 Find out if this, combined with the 1000W motor, make for the perfect personal blender. Yet another incarnation of the Nutribullet - this time with a bigger, 1200W motor, a couple of large cups and two automatic programmes. Find out if the extra investment makes for great quality blends. 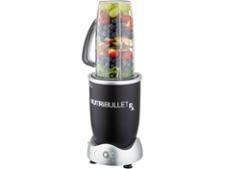 The latest and most expensive Nutribullet, the Balance, is also the first with smart features. With nutrition tracking, Nutribullet claims you can keep a close eye on how many calories, vitamins and minerals are in your smoothie creations. Find out whether this feature lives up to expectations, and whether the Balance justifies its hefty price tag. 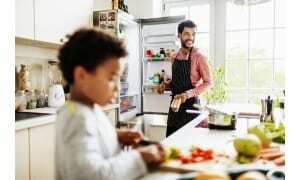 Nutribullet recommends that frequent users replace the blade unit every six months. This is because regular use and cleaning causes the rubber seal (or gasket) inside the blade unit to deteriorate. In worst-case scenarios, the seal can completely break and cause the Nutribullet to leak – which can be particularly dangerous if the motor base gets wet. If your Nutribullet has begun to leak slightly, contact the retailer to see whether replacement blade units are covered by its guarantee. If not, you can order replacements from an official supplier, such as highstreettv.com. Nutribullet warns that you shouldn’t buy standalone replacement seals as these aren’t endorsed by the brand, and won’t offer the same tight seal that official parts do. For more advice see our guide to your rights on faulty products. You don't have to spend a lot to get a brilliant blender, and not all recommend regularly replacing parts. We've tested a range of cheap rivals to the Nutribullet, and found some great options for those on a budget. Logged-in members can see our best Nutribullet alternatives below. Some of these cost less than £50, so you could make a real saving while still getting super smoothies and soup. Not yet a member? Join Which? for instant access. We were blown away by this blender. 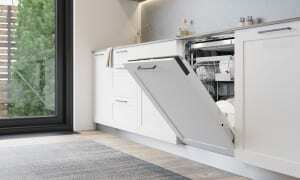 It did outstandingly at virtually every test we put it through, even crushing ice cubes, which is quite a feat. 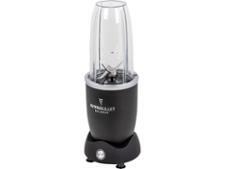 It’s the highest-scoring Best Buy blender on record, knocking all the Nutri-rivals off the blender throne. This blender isn't just a jack-of-all-trades, but a master of almost all of them, too. It will be the perfect smoothie companion, but also has the added versatility of being able to crush ice and even make a good dip or sauce. You really can't get better for this price. An outstanding blender that's good at pretty much everything we challenged it to. 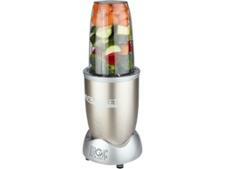 It makes brilliant smoothies, soups and more, and is easy to use and straightforward to clean. It's not often we call a blender 'quiet', but this Nutribullet rival is certainly far less noisy than most. 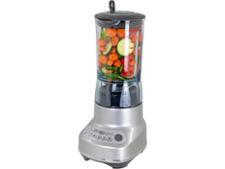 It's makes light work of smoothies and soups and includes travel cups and an additional dry blade for grinding nuts. If big batches of soup are your thing, a jug blender may suit your needs better. These bigger blenders can be super-pricey - we've tested one that will give you just £1 change from £500, but we've also found a Best Buy for £30. 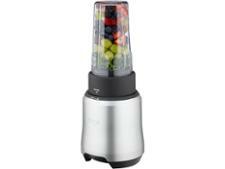 Head to our Best Buy blenders to find out which ones really impress. If you aren't sure what you need, check out our advice on choosing a blender, juicer or smoothie maker. We've also tested vegetable spiralizers, so if you're looking for alternative ways to get more veg in your diet, check out our spiralizer top picks.